You'll be £14.99 closer to your next £10.00 credit when you purchase The District Nurse. What's this? For 150 years, up and down the country, from large cities to rural areas and the remotest islands and highlands, district nurses have been visiting the sick in their own homes. Here they have provided healthcare, and given moral support and advice to people of all ages the length and breadth of Britain. Follow the story of how, in the 1860s, the Liverpool philanthropist William Rathbone VI set up an experiment in home nursing in his home city, aimed at providing care for the poor who had no access to proper medical attention. His scheme resulted in the establishment of district nursing as a profession, and the inauguration of the Queen Victoria Jubilee Institute for Nurses. Take a journey through the growth of the district nursing movement movement, of the expansion of services into school nursing and health visiting in 1891, through nursing and pastoral care during the First and Second World Wars, and learn how, periodically, the district nurse has provided maternity and midwifery services. 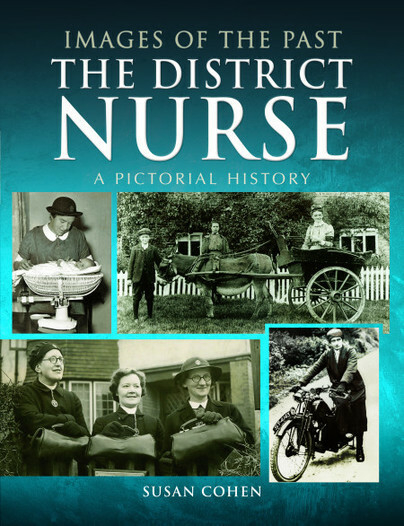 This illustrated history of district nursing provides a unique insight into the role played by members of this branch of the nursing profession, and demonstrates how the nurses have been the backbone of the community, providing the public with a wide range of invaluable healthcare services. Susan Cohen’s new book Images of the Past: The District Nurse is a lively narrative featuring some truly beautiful and provocative images. In this meticulously researched volume she demonstrates an ability to move into writing for the interested public. 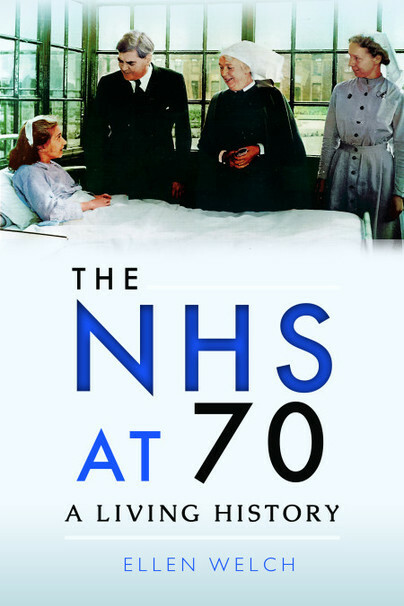 She takes a broadly chronological approach starting with the early inspiration of William Rathbone in Liverpool, his employment of the excellent Mrs Robinson, his correspondence with Florence Nightingale and the first district nurses. Cohen cogently describes the somewhat ad hoc developments of the DN service throughout the country, which eventually culminated in the Queen Victoria’s Jubilee Nursing Institute Royal Charter in 1889 Chapters 2 and 3 consider the early years of ‘life on the district’ and the hardships that nurses, who had chosen this work, endured. Susan Cohen is to be commended for this book...the book should also be seen for its fascinating images, which are difficult to describe in a review. It is a thoroughly interesting book, packed full of detail with no space wasted, one fully recommended for those with an interest in history or community nursing. This well-researched book is highly readable and accessible, and the format makes it easy to dip in and out of. It uses wonderfully evocative images from the archive of the Queen's Nursing Institute to show how the profession of district nursing has changed over the decades. The fascinating illustrations include images of the ever-evolving uniform and the various modes of transport used, together with photographs of the special challenges faced by Queen's Nurses serving the Highlands and Islands of Scotland and in rural Ireland. A thoroughly absorbing read. This book will appeal to readers with nursing ancestors or with an interest in the development of healthcare. It does not show how to research your nursing forebears, but it provides valuable information about the nature of the role and its evolution. The changes in uniform illustrated here could help family historians to narrow down the dates for photographs of their own district nursing ancestors too. A bit of history, a bit of photos and historical engravings - here it all comes together in a good mix to draw an exciting piece of history. All sorts of interesting information about nurses, not just about Florence Nightingale, with illustrations of contemporary documents. A living piece of contemporary history. A very informative book for someone who is interested in nursing background and especially that of a district nurse. Whether you are a health care professional or simply someone like me who has an interest in social history I think you will be informed and educated by this book. Susan Cohen is an historian with a wide interest in twentieth century social history, and since 2010 has published several books examining some of Britain's best known and loved organisations. She holds a PhD and is known in academic circles for her study of Eleanor Rathbone, MP, and her work for refugees during the Second World War.